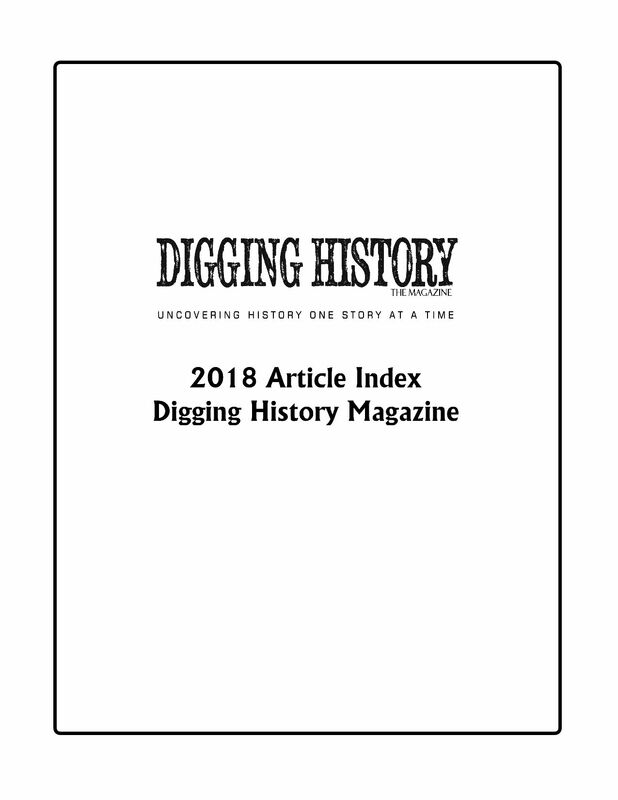 A free guide to all articles in Digging History Magazine published in 2018. Each article listed includes a short synopsis, keywords, characters and events. All issues are available for sale in the Magazine Store.